How do i disable the form? I want to save it but remove it so no one else fills it out! 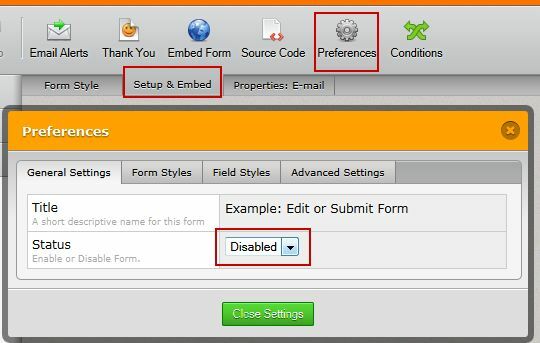 You can either remove the codes from your site, or temporarily disable your form. Feel free to contact us again if you have further questions or concerns.